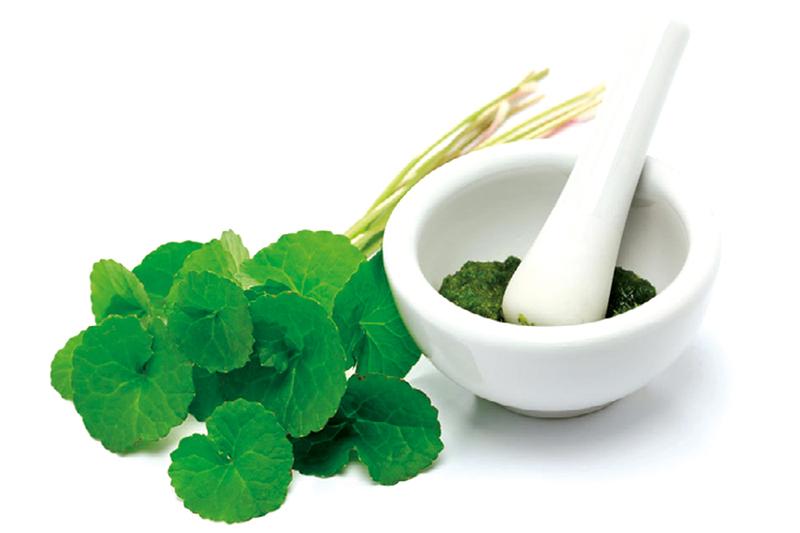 Gotu Kola is a familiar household name to most Asians, especially Sri Lankans. It is a herbaceous plant native to wetlands and is used in mallungs (Salad) to be accompanied with rice and curry. This multi-functional herb is not only used as a culinary vegetable but also has strong medicinal properties and is often used in Ayurvedic treatments. It is a rather unusual looking leaf that’s somewhat circular shaped and has a long, fragile stalk. Its flowers are a delicate cluster of yellow peeping shyly amidst a sea of vibrant green. When sliced into or crushed, it releases a familiar earthy smell while its pigment is a dark, forest-like green. There are a plethora of ways in which Gotu Kola benefits the body.